Tasting Notes The Sonoma Valley Cabernet Sauvignon is a deep, brooding wine with aromas of dark blackberries, plum, roasted coffee, and dark chocolate. On the palate, the wine is rich and opulent, with chewy tannins and firm structure. The satisfyingly round finish goes on and on. Vineyard Profile The Sonoma Valley grapes were grown in the hills between Kenwood and Glen Ellen just up from the valley floor in a beautiful corridor. This vineyard site gets wonderful weather with cooling fog from the San Francisco Bay to the South. Food Pairing We love pairing our Cabernets with beef and this wine is no different. 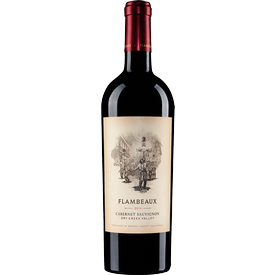 Its richness and black fruit pair finely with short ribs or marinated flank steak tacos.